A man who was shot in the face during a family reunion inside a hotel in Southwest Philadelphia died from his injuries, according to police. 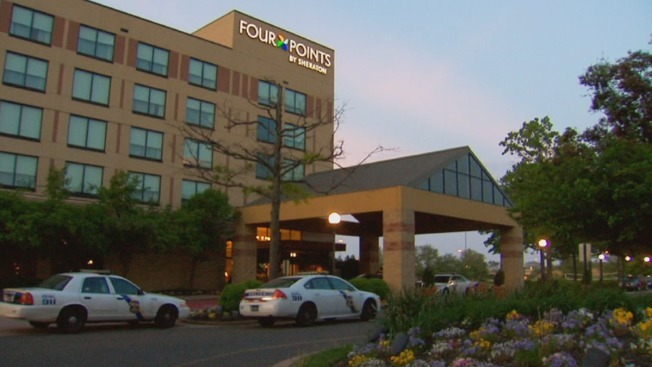 Police say the unidentified, 34-year-old man, was attending a family reunion party inside the Four Points by Sheraton Hotel along the 4100 block of Island Avenue Tuesday night. As he was attending, police say Jose Williams, 49, unexpectedly showed up. Williams, the estranged father of a 1-year-old child who was at the party, got into an argument with another person in attendance, police said. The 34-year-old victim then asked Williams to take a walk outside to calm down, but as they walked down the hallway, Williams allegedly pulled out a pistol and fired at the victim's face, according to investigators. The alleged shooter then fled the scene -- running across busy Interstate 95 -- before being spotted by a cab driver who alerted police. Williams was arrested a short time later. The victim was hospitalized in critical condition at the Hospital of the University of Pennsylvania Tuesday night. On Wednesday he died from his injuries. Williams was initially charged with Attempted Murder, Simple Assault and other related offenses. Investigators have not yet revealed whether the charges against him will be upgraded to murder now that the victim has died. This shooting was one of six that took place over a few short hours Tuesday night -- resulting in nine shooting victims.